Travelling has taught me many life lessons and has enriched my life in many ways. At the same time travelling has also taught me a lot about the countries I’ve visited over the years. I’ve become familiar with cultures and habits, history and sightings, food and religion. Travelling in South Africa was in more ways very special to me since I’ve had the opportunity to travel long term in this wonderful country. It was possible to dig deeper into the local culture, see a large part of the country including the more unknown places and meet very nice people. In the end, Sean, my husband and so my family in law is South African. I can easily say that both South Africa has taught me some interesting life lessons and I have learnt some new things about the country itself. 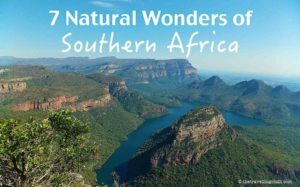 It’s not only a country with beautiful scenery, diverse wildlife, great coastline and dramatic mountain ranges, South Africa is so much more than just that. 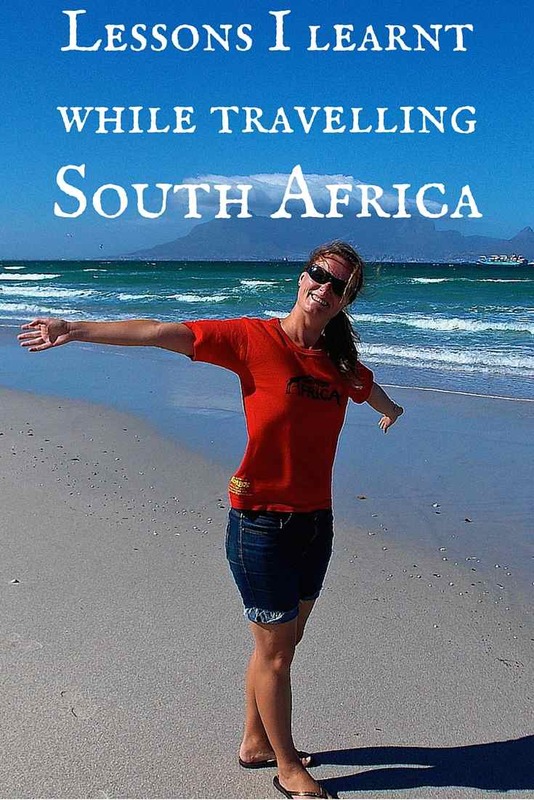 What travelling has taught me about South Africa and lessons I learned while travelling there. I call it the ‘South Africa effect’. I have learned that in South Africa there are no problems, only solutions. They have a very practical and problem solving way of thinking. If something breaks, just repair it and get on with your life. Don’t stress or panic, just fix it. I have also noticed that often the problem gets tackled, but not the reason of the problem. For example, if a car breaks down, just repair it with a quick fix up and continue driving. When there is a pothole in the road, drive around it but it will take a long time for the pothole to get fixed. First of all, braai is the South African version of what we know as a barbecue. South Africans love braaing, it’s a culture, it’s a way of life. South Africans could braai everyday. Practically of course, it will be more a weekly thing. In Belgium, a barbecue is a whole mission. When finally there is a weekend with nice and warm weather, first of all invite most of your friends, family, who ever, since you are not going to light a barbecue for just 2 people. Then there will be beautifully cut little pieces of meat, lot’s of different bowls of salads and various sauces. Anyway, it will take a full day to prepare, standing in the kitchen, decorating the table and so on. Afterwards, you are glad it’s over and will organise another one next year (too much work). In South Africa you’ll buy 1 huge piece of meat and braai wors (sausage). The whole chunk goes on the braai and will be cut later. No need for lot’s of salads and sauces, the meat is the main thing. Not to speak about the litres of beer and brandy. Some men might even prefer eating the meat straight from the braai and have no need for a nicely decorated table. It’s also the only country that has a ‘National Braai Day’. 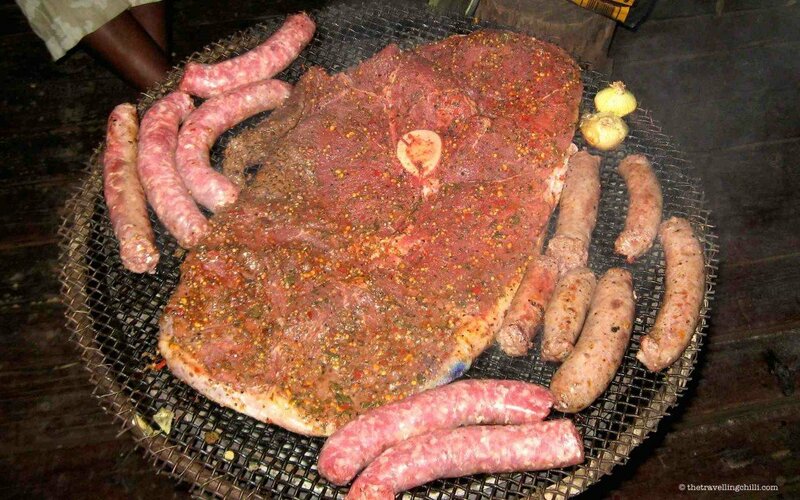 It’s celebrated on Heritage Day (public holiday) and South Africans all over the world will light a braai and enjoy a ‘lekker tjoppie’ (translated as a huge piece of meat). South Africa has 11 official languages, but English is the most widely spoken. With so many official languages, South African English has been influenced by the others. This has made for an interesting collection of modified words, some of which might come across pretty funny and bizarre. Robots: When asking for directions, someone might say, turn right at the next robots. The first time I thought, by the next… what? Did I really hear robots? Well, don’t think the person is insane, he really meant ‘a robot’. In fact traffic lights are generally called robots. It is even painted on the road. When you are approaching a traffic light it says ‘robot ahead’. It will sound pretty funny the first time, but you’ll get used to it. 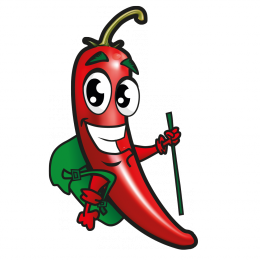 Lekker: Lekker is originally an Afrikaans (language very similar to Dutch) word, meaning tasty. Meanwhile in South Africa it’s used to describe everything that is tasty, nice, good, well, great, inspiring, pretty,…and not only by Afrikaans speakers, but also by most other language groups in the country. For instance, when you ask someone, how was your weekend trip to the mountains? Instead of good, you often hear ‘lekker’ or in slang ‘lekka’. The meaning of time: The definition of the word ‘now’ can be fairly complicated in South Africa and it’s important you understand what they really mean with it. Now: The word now should not be understood as the english word ‘now’ as in immediately. The word now is used as anything opposite to now. It can mean, sometimes, maybe, next week, one of these days, but definitely now any time soon. Now Now: When someone tells you now now, you’ll know a bit more specific when something will happen. It’s the best you’ll get and closer to immediately…when I have time or when I feel like. The word now is not exact science and not everyone will use it as described here. Everyone has specific meanings for the words, now – now now and just now. Over time, you should gain your own understanding of the meaning of time in South Africa as well as how and when others will use those words. South Africa is a very suitable country for camping. I’ve noticed that South Africans really love to be out there and camp. Most campsites have very high standards, are very clean and a lot of times found in the most beautiful locations. I was amazed to see the facilities that most campsites have. 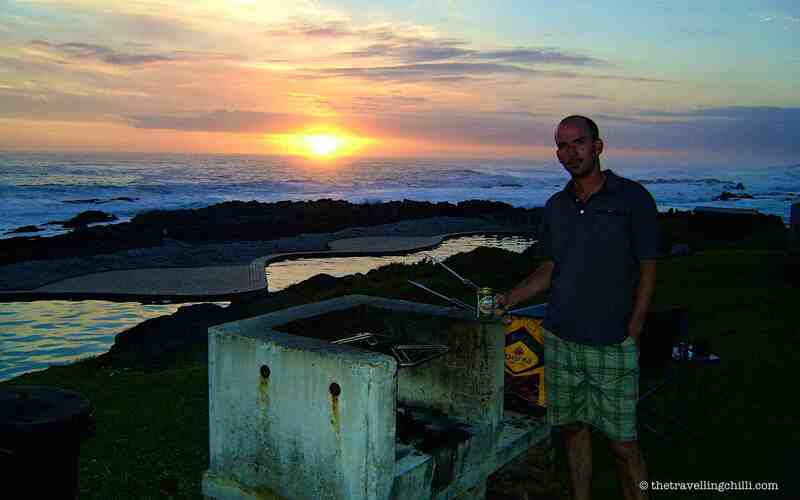 Even if it’s out in the bush, each individual campsite will have it’s own ‘braai’ facility. South Africa has some beautifully appointed hotels and lodges. However, if you are into camping, you might want to consider it as an alternative form of accommodation to be out there close to nature and beautiful surroundings. I am a huge fan of camping. When in South Africa, I’ll always plan to camp as far as practically possible. I can easily say, South Africa has it all, well almost. There are many great places to visit both on and off the beaten track. It’s so easy to discover the little gems of the country that still do not attract a lot of visitors. South Africa has a lot of beautiful out of the way places that are still undiscovered by most foreign tourists. 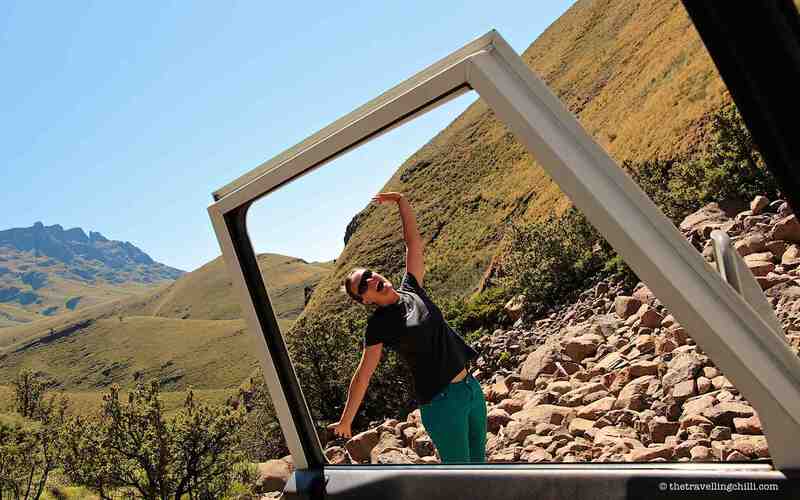 So you can still see and feel the true soul of South Africa off the beaten track. Areas like Namaqua, Kgalagadi, Northern Cape are locally known but not visited by masses of tourists. Internet is readily available in most urban and tourist areas. When going off beat, you’ll notice that the world wide web is not always widely available or the connectivity is really slow. Being a digital nomad myself, I like to be connected, but sometimes this just isn’t possible in certain areas of the country. This is when I learnt to appreciate the need to be disconnected and to reconnect with myself. This also allows me the opportunity to enjoy the world as it is, to listen to the sounds of nature, to look at a bush fire instead of a screen and to just be out there. After a while, on the flip side of the coin, being disconnected can get addictive as well. The western world, in which I grew up, makes you believe that we always have to worry about tomorrow and the future. The general mentality in South Africa is that of course you should ‘worry’ about tomorrow, but you also should live today. The lessons that I learnt in South Africa are that you cannot always foresee the future, that you should try to live now, tomorrow will come later and take care of itself. It made me realise that planning for a future is not always possible, there might be some unforeseen obstacles. Not planning the rest of your life made me realise that you are more flexible in taking those unforeseen hurdles and to be more flexible towards life itself. South Africa is currently going through a lot of changes, so it’s not always an easy country to live in. What makes it so beautiful is that mostly people, in my opinion, try to make the most of every situation. They try not to give up. As of writing this article South Africa is facing a major energy crisis. Having a 2-4 hour blackout is nowadays more rule than exception. I really admire how they try to cope with this issue. It’s not nice to sit in the dark, not to be able to cook a meal or anything else you need electricity for. Well, simple, just buy a small gas burner, gas lights, generator, have a braai, light candles…problem, no problem. In general I can say that travelling in South Africa has taught me lot’s of great life lessons and at the same time I managed to learn something about the country itself. I’ve learned to take life one step at a time, to learn to enjoy it, to appreciate being back to basics while camping and that the world wide web is not so wide spread in certain areas. Stress is something that is necessary sometimes but mostly not wanted at all. In the end, you only live once! 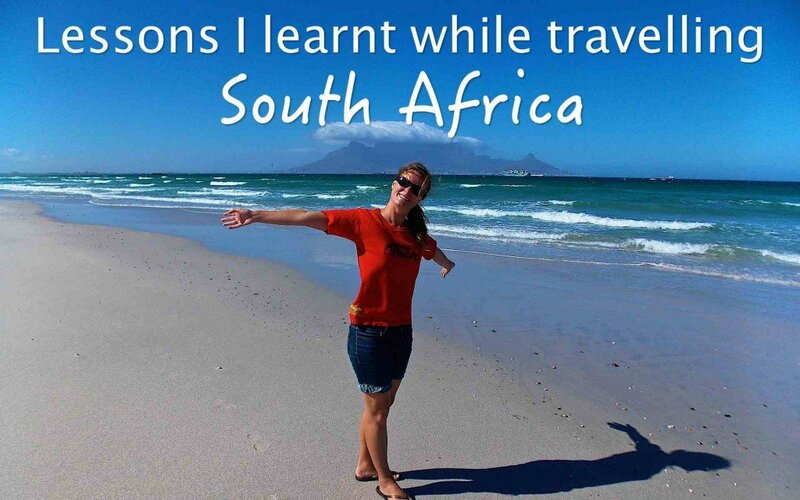 Have you learnt any lessons while travelling? Was this in a specific country? Great post! 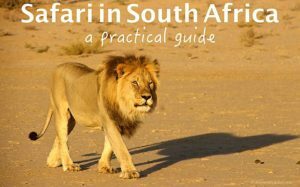 I’ll be traveling to South Africa in August and will use some of these pointers :). I cant wait! You’ll love South Africa. 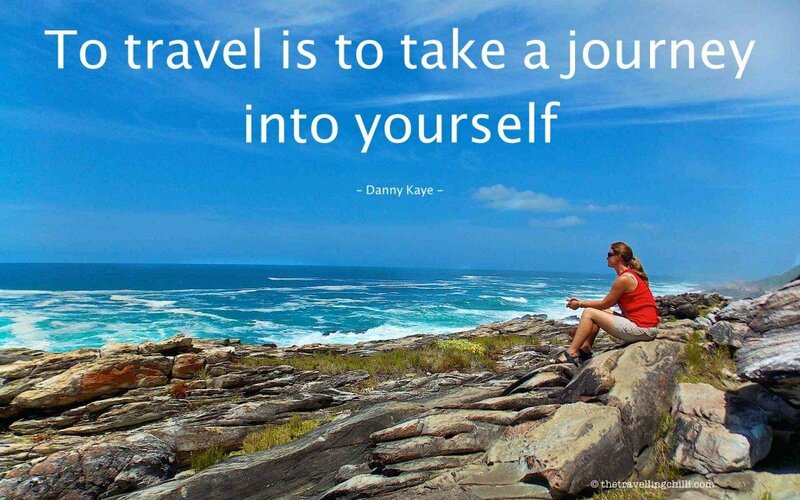 Where will you be going and for how long? I learn lessons from everywhere I travel. 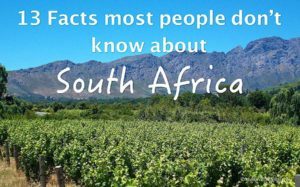 I really enjoyed reading your post on South Africa as I have never been there, but just heard on the radio this morning that the countries in South Africa are experiencing a severe draught and that there is likely to be a real food shortage among the poor. I find that very sad and scary. its a very sweet hearted post 🙂 South Africa most def made a fabulous impression on you…I cannot wait to visit one day. This has made me so excited for my trip to SA later this year. I’ve had a feeling for a while that Africa is about to steal my heart and when I read your post all I could think was ‘How could I not be enthralled with a place where traffic lights are referred to as robots? !’ Add to that a love of BBQ and a no worries attitude – it all sounds perfect! And I’ve lived in Spain where everything is ‘Mañana’ so I’ll be OK with a different definition of the word ‘now’! You will really love SA. And I’ve also lived in Spain for a few years where I experienced the manana mentality. You’ll learn that it’s pretty similar in SA. How long will you be going and which areas will you visit in SA? I am South African. Thanks for the lovely post about SA. Ticking all the boxes regarding internet, braais, camping, …. one thing to add: Value for money. With the exchange rate being in internationals favour at the moment (the Rand is at an all time low), there are even more reason to come for a visit. It always is great value for money – now, even more so! Happy travels. You are right about the exchange rate. This is a perfect time for tourists to visit the country since the Rand is so low in value and everything will be pretty cheap when converting from dollars and euros! These are beautiful reflections and I am really happy you can openly share it! You are South African, right? It’s good that you are able to travel your country first. Not everyone does that! I don’t know but for some reasons, a lot of people just find excuses on not traveling their own country — and I am one of them. Thanks for sharing your thoughts! Interesting and funny lessons. Been searching on how to travel here and as information comes, it gets more exciting. I will use this as my guide when i finally decided to come here. Looks perfect on how I travel or explore, normally wanted to stay for one month in a country and I will surely fall in love with it. Apparently, I learnt quite a lot in SA as well. Specially on the solo road trip I did along the N2 (Garden Route) from Cape Town to Port Elizabeth. Ethiopia on the contrary had taught me some too, although they follow GMT+3 time zone they have their own set time. For them the day should start while we wake up so while its 7 on our watch (while in Ethiopia) its 1 in Ethiopians watch. So it was quite challenging while booking my bus tickets and enquiring about check out time at hotels. I had to specify XYZ international time. Traveling to other countries undoubtedly teaches us things that we never dreamt of learning. It sounds like you learned a lot from living in South Africa and that’s one of the things I enjoy so much about traveling…learning more about the world and learning more about yourself and how you adapt to different situations. I’ve never been there before but would love to go. I totally agree that the beauty of travelling is that you can learn something about yourself or about the place you are visiting. I love the “live now, not tomorrow” mindset. I think as Americans we get too caught up in the “could-be” and the “might-be” and forget to cherish today. Many other countries will help you remember that when traveling! Looks like a beautiful place! Sounds like a Rational and not an emotional country. Love the attitude. 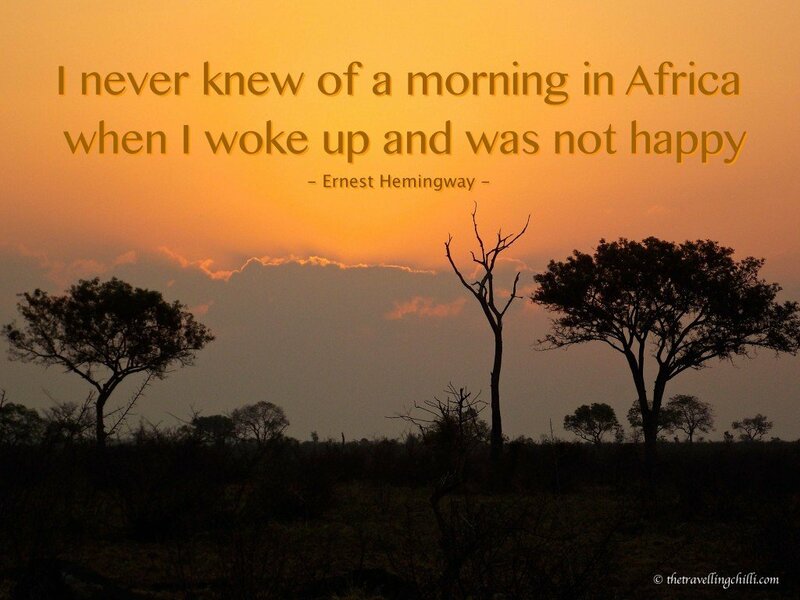 I feel like a trip to South Africa would give me such a mind-shift. I love the approach of having solutions. And gosh, camping and amazing people and braai? It sounds too good to be true. Man am I glad I read this. If I was travelling and someone told me to stop at the robots my overly active imagination would jump straight to Alien Invasion. I really enjoyed this post and you made me laugh about the bbq! Here in Ireland is a bit like you say in Belgium: big deal and loads of preparation – often followed by a last minute cancellation due to rain 😉 Sout Africa sounds like an amazing country and it’s high on my list of places to visit, especially now that I know it’s so good for camping! “Robots” and “now” are so funny ! A lot of countries teach us patience. But sometimes it’s really irritating in India when you refuse other plans as your best friend told you will spend the day together but never come. S. Africa sounds amazing! I hope to make it there soon, but I don’t know if I could eat all that meat! Beautiful photos and amazing adventures. I joined your mailing list to read more. Safe travels! 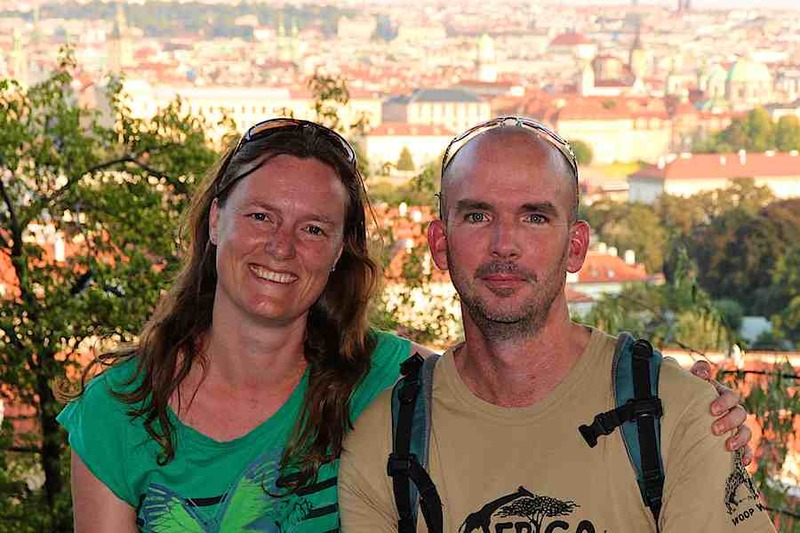 Hi Jean and Sabine, I’m Swiss and my partner South African, too. We met in South Africa three years ago and travel together around the World since then. 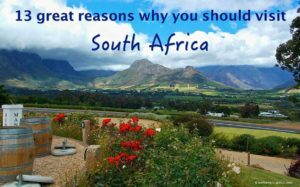 We love to go back regularly as we haven’t found a country as diverse and beautiful as South Africa yet and it’s cheap for us to travel because of the currency conversion. One word to internet connectivity: Using my phone as modem, we had almost internet access almost all over South Africa (MTN, but vodafon should be good, too). I’m South African and thoroughly enjoyed this post of yours. I’m always intrigued to learn and hear about how foreigners perceive South Africa and us, South Africans. Thanks for sharing your experiences. It was an enjoyable read! 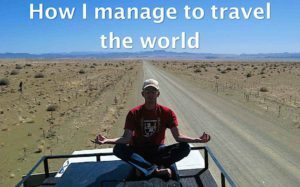 As a 23 year old who has grown up his whole life in South Africa, has traveled and hiked everywhere, and really loves this my people and my country, with all its issues, I want to thank you for this kind-hearted post about your travels in my motherland. The braai reminds me of the argentinian asado, where the same, you would have big chunks of meat and sausages on the grill and enjoy them just like that, without any salad or potatoes. I would love to visit South Africa and learn about their way of fixing things instead of replacing them, as we do here in Europe. That is actually a very valuable lesson about the importance of community and care. South Africa is right at the top of my travel list right now – the fact that they love to ‘braai’ just makes me want to go even more! I didn’t realise camping was prominent there either, that’s really good to know for we come to plan our road trip. 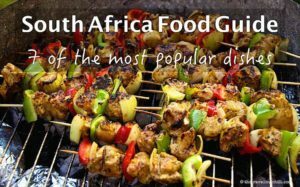 If you love to braai, South Africa is the place to go. They braai whenever they can or get an opportunity.